She's Fantastic: The New Batman Adventures - HARLEY QUINN! The articulation is very similar to past DCC Animated females, but the "rocker foot" joint seems to have been phased out. 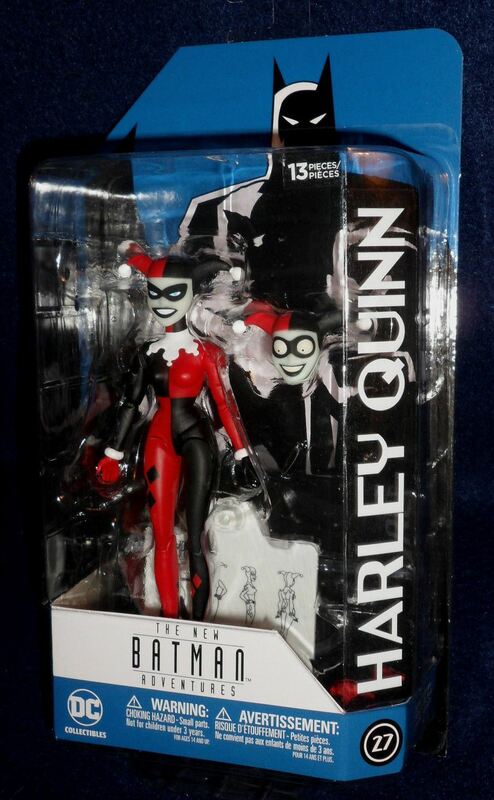 This Girls' Night Out Harley is the technically the third version of TNBA Harley to be released in this line. 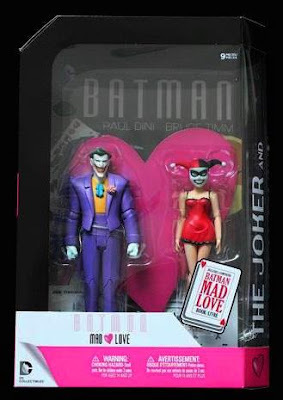 They first version was the Mad Love 2-Pack featuring this same head but a nightgown body. 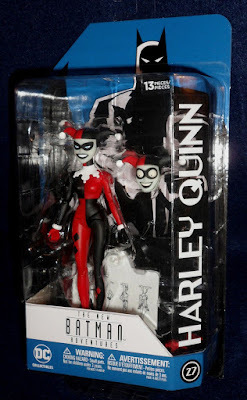 The second version is the single packed Harley. 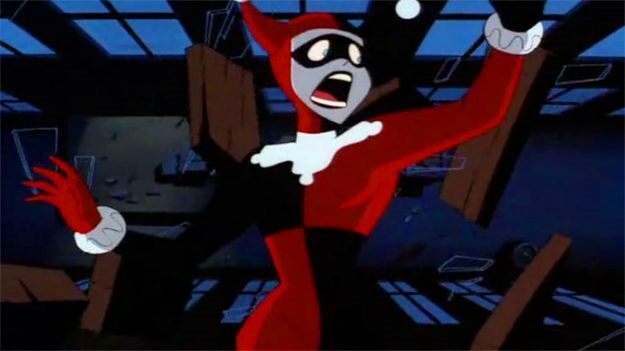 She is identical to the Girls' Night Out figure, but comes with a second "bug-eyed" head and several pairs of alternate hands. 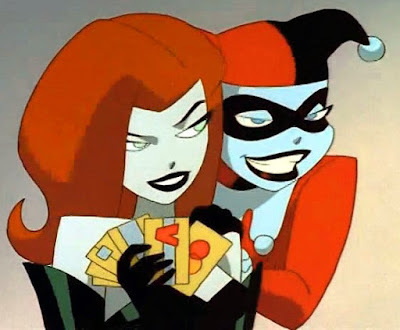 In this one the TNBA Harley is on the Left and the BTAS is on the Right. Here is the whole Girls Night Out set together: Poison Ivy, Livewire, Harley Quinn, Supergirl, and Batgirl.